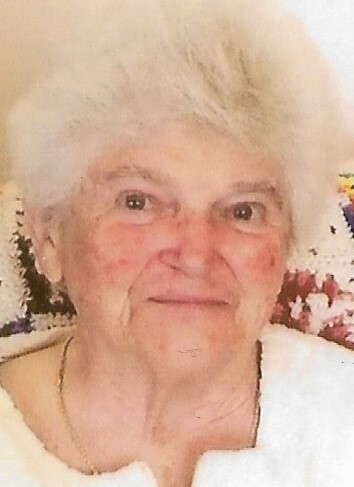 Barbara (Frederick) Boris, 84 of Meriden, passed away Tuesday, August 14, 2018, with her loving family by her side. She was born and raised in Meriden to the late Wilbur and Dorothy (Aubrey) Frederick. She was happily married to her husband Frederick for what would have been 60 years this November. Besides her husband Frederick, she is survived by her sons, Frederick Boris, Jr. and his wife Rosanne of Durham, and Michael Boris of Meriden, CT; her sister Carol Palardy of Fairport, NY; her brother Robert Frederick, Sr. and his wife Patricia of Middletown; her granddaughters, Shelby Boyle and her husband Griffin of FL, and Katelyn Boris of Durham, CT; her grandson Frederick Boris, III; her great-granddaughter Raelynn Boyle; and many cousins, nieces and nephews. Barbara is predeceased by her parents and one grandson Thomas Boris. In life, Barbara loved her family dearly. She loved to spend time with her kids and grandkids, having them over for dinner like spaghetti and meatballs and a home baked pie. She loved to cook and to can her vegetables. She was a very avid contributor to the Durham fair, and even won numerous ribbons for canning. Barbara lived for bowling. You could always find her at Colony Lanes in Wallingford. In some of her free time, she liked to fish and go tag saling, she was always on the hunt for a hidden antique. Her and Fred Sr. were members of the Russian Orthodox Church and she was also a member of the D.A.R. (daughters of the American Revolution). Services for Barbara will be held privately. Donations in Barbara’s name can be made to: https://www.stjude.org/donate/.